One of the brave Nigerian Soldiers fighting against the Boko Haram terrorist in the North-east has just passed away. 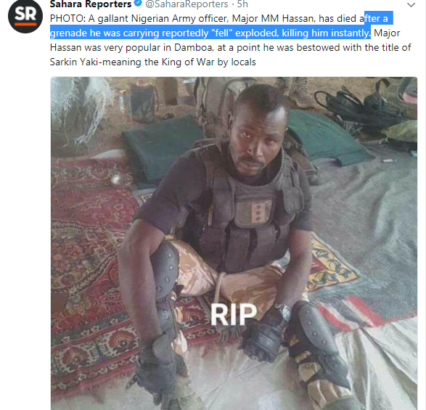 The gallant soldier, Captain MM Hassan, who was crowned ‘Sarkin Yaki’ -meaning the King of War by locals following his bravery in the fight against Boko Haram, reportedly died yesterday. 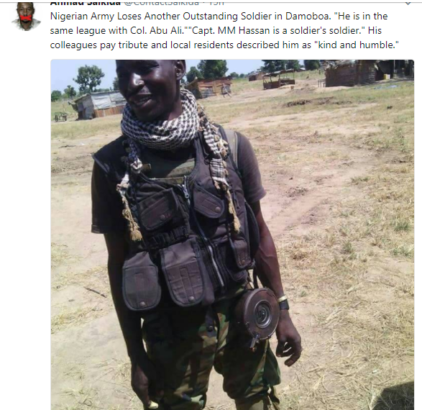 According to journalist, Ahmad Salkida, Captain Hassan was an Outstanding Soldier stationed in Damoboa. He was killed last Friday, January 5th. 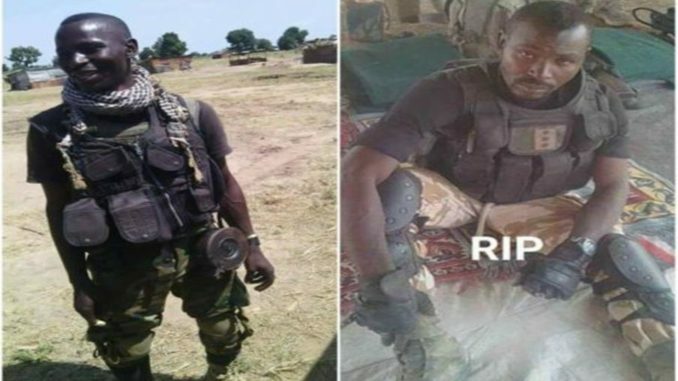 He was described as a brave, disciplined and a highly motivated Officer, that earned him the title – Sarkin Yakin Damboa by his colleagues and the civil population.